Orange County, Fla. – Artists are invited to submit work – existing or conceptual – for the fifth annual Sculpture on the Lawn exhibition, an outdoor display featured at the entrance to the Orange County Administration Center (201 S. Rosalind Ave.) in the heart of downtown Orlando, Florida, where the works are visible to approximately 10,000 people daily. Sculpture on the Lawn is open to experienced professional sculptors as well as students and emerging artists who specialize in the design, construction and installation of outdoor sculptures. Up to three sculptures will be selected for display from October 2019 to September 2020. One of the sculptures will be selected from a student or emerging artist, if suitable. DEADLINE: Monday, July 1, 2019. Applications, resumes, images and other materials must be submitted by midnight through the CaFÉ online service. Selection Criteria: The three main considerations are creativity, site appropriateness and durability. Images of finished works and conceptual drawings can be submitted. If the proposed project is not a finished work, artists need to provide information to assure the Selection Panel of what it will look like and that it will be completed and installed as designed. Artist Responsibilities: Selected artists must transport the artwork to the site on the specified date and install it with minimal assistance, then remove the artwork after the exhibition. Sites and Safety: While artistic quality is very important, works will be reviewed for durability, safety and appropriateness to the site. Artworks must be structurally sound and able to withstand an outdoor environment in a largely unsupervised area that is not protected from weather or curious viewers. Orlando has a subtropical climate that is hot and humid with intense sun and seasonal heavy rains and hurricane-force winds. Avoiding potential problems such as deteriorating rust and fading should be considered. Installation: Orange County provides 12-by-12-foot concrete pads. Sculptures must be firmly secured to the pads. Selection Panel: Members of the Orange County Arts & Cultural Affairs Public Art Review Board will make the selections. Honorarium: Each artist will be awarded $3,500 as a fee for the annual loan of his or her artwork and to help offset any necessary transportation, installation and housing costs. No other compensation will be provided. A payment of $3,000 will be made upon installation and processing of required paperwork and $500 will be paid upon removal. Insurance: Orange County will insure the artwork up to its stated value or $50,000, whichever is less, for theft or major vandalism. The artist will be responsible for any repairs needed due to fabrication defects or reasonable wear and tear of the object in a public location. Size: There is a 6-foot minimum height preference. The sky is the limit for the maximum height. Sales: Sales of the works will be encouraged and promoted. Any sales inquiries will be forwarded to the artist or designated agent. No commission will be charged. Sculptures must remain on site until September 2020. 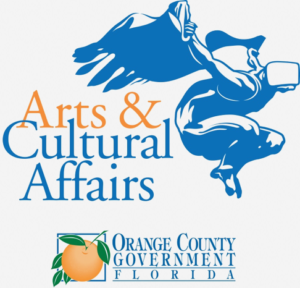 Applications: Orange County Arts & Cultural Affairs is using CaFÉ for this public art selection process. The full application can be found at www.callforentry.org. There is no charge for artists to register with CaFÉ or submit an application. Make sure to indicate if you are a student or emerging artist. Make sure to indicate if the work is existing or conceptual. A minimum of 1 image is required, and the maximum is 6. Images of finished works or conceptual drawings can be submitted. If it is not a finished work, provide additional information to assure the Selection Panel of what it will look like and that it will be completed and installed as designed. Sculpture on the Lawn Opening Celebration: October 21, 2019, 5:30-6:30 p.m.